As a powerboater gets older, things change. His body becomes frailer, his wallet becomes fatter and the time available to him increases, so it stands to reason that he starts to look for different things. Considerations like modest styling, a comfortable fit-out and refined running manners become more important than ever before. Insane though it sounds, there might even come a time when burbling exhausts and raceboat handling are ousted entirely by the demands of spacious accommodation, stable seakeeping and long-range cruising ability. Getting older shouldn’t dumb down your lust for gadgetry and there’s no shortage of that on the Classic 45 from Dale Nelson. Dale Nelson Classic 45 - built like a tank and styled like an Admiral's launch, this boat is all about the attention to detail. The electric overhead three-stage sunroof enables you to select everything from the feel of an open-air space to that of a sheltered coupe; the electrically adjustable saloon seating also generates extra space on the port side by sliding the helm and pilot seat up against the dash; and the drop-down bulkhead at the aft end of the saloon means you can convert the boat to an open hardtop at the touch of a button. There’s tremendous attention to detail here too. The hull sides and stringers are fully soundproofed, the full-length fuel tanks help maintain stability, the engine room uses rubberised matting to safeguard your knees and the through-hull fittings come with their own engraved labels. In short, this beautiful boat is built like a tank, styled like an Admiral’s launch and likely to outlive both you and your grandchildren. 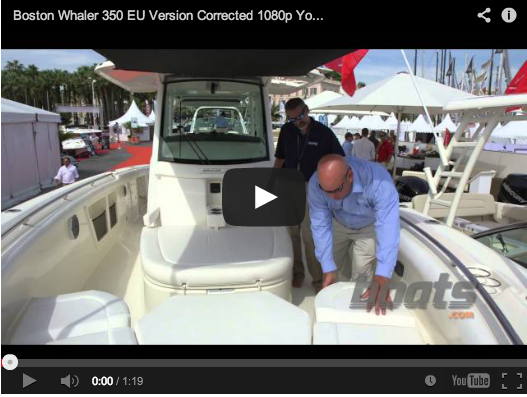 If you want a boat that feels like an heirloom, you won’t go far wrong here. Okay, so this boat doesn’t actually exist yet but it looks likely to be just the ticket for the gent in need of a civilised conveyance. 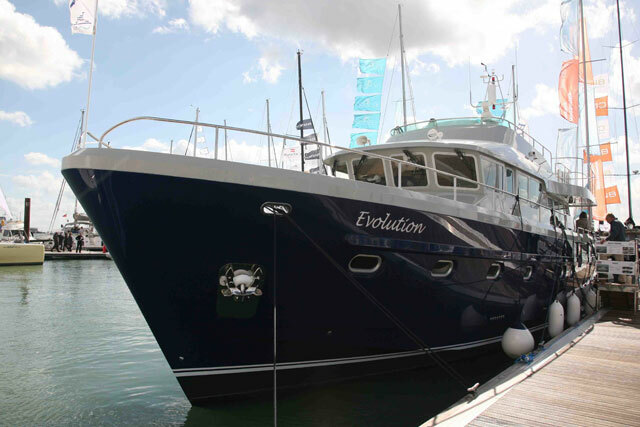 English Harbour 27 - Liveaboard storage, extra-wide side decks and a deep-set cockpit should make this anticipated new 27-footer an ideal family cruiser. 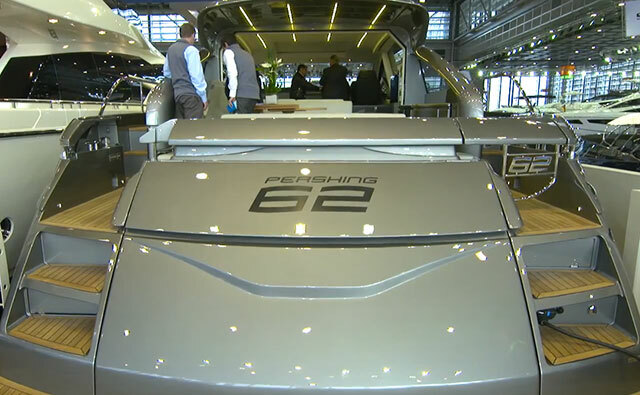 As only the second craft from this young British company, the idea is to offer easily convertible sleeping space for four people in two cabins on a boat that is as comfortable at the Henley Regatta as it is on an offshore passage. The semi-displacement hull by Andrew Wolstenholme will come with a full-length keel to help bring handling prowess as well as cruising efficiency – and inside, a spacious saloon with dining for six, plus plenty of liveaboard storage and a heads with separate shower, looks outstanding for a boat of this length. Extra-wide side-decks and a deep-set cockpit look useful for safe family cruising and while the fuel capacity of just 200 litres is a bit mean for extended periods away, the early promise of these designs suggests the new 27 ought to be a winner. Targa is the original builder of tough-guy, offshore, four-season workhorses and the 44 is a fine exponent of that ethos. 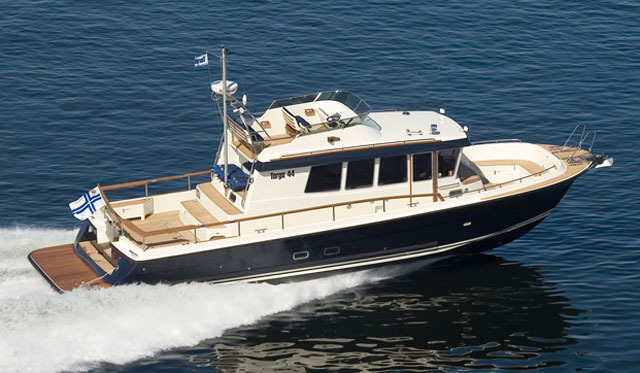 Targa 44 - a four-season workhorse with a huge range and plenty of comfort below decks. 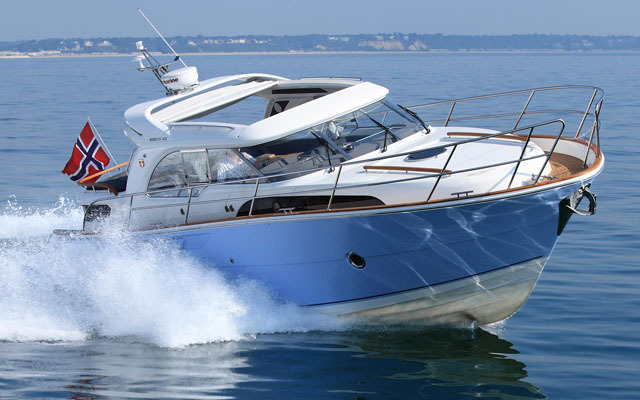 Based on the 42 (which won acclaim at its launch in 2005), the 44 incorporates Volvo Penta’s IPS system to generate cruising speeds of 30 knots and a top end of up to 39 knots. Designed to offer comfort and practicality in tough seas, claimed fuel consumption of around three litres per nautical mile with twin 370s suggests a very useful cruising range from the 1,500-litre fuel tank. The optional ‘Comfort Fore Cabin’ layout also looks like a particularly worthwhile option for the retired gent, with a raised foredeck to enable better space, storage, movement and headroom below decks. 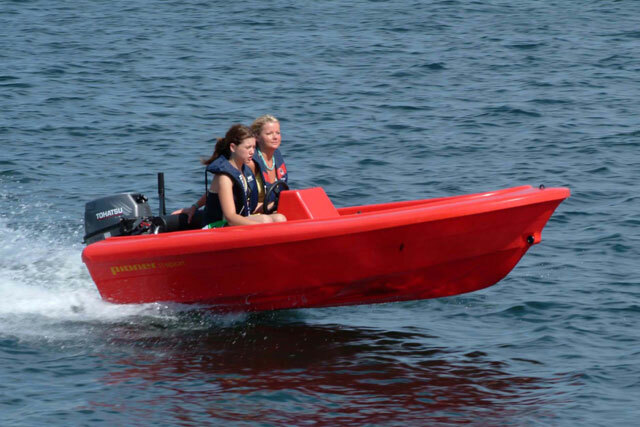 Flexible four-berth sleeping accommodation with two en-suite toilets makes this comprehensively acclaimed motorboat a serious contender for every ambitious seaman. The moment you see it, you know that Hardy’s flagship cruiser is a serious no-nonsense boat. It backs up its impressive wealth of secondary systems with broad walkways, workboat-compliant bulwarks and an internal staircase that looks as robust as the hatch on a nuclear submarine. Up top, the huge flybridge, has plenty of space for a RIB and down below, the three ensuite cabins include a full-beam master, a guest double in the bow and a twin to starboard. The fact that they have placed the galley down here also means that the main deck is as versatile as it is vast. The use of acoustic underlay to minimise engine noise in the saloon suggests that this is designed to be the hub of a liveaboard set-up and with a combined fuel capacity of more than 7,000 litres, the freedom to cruise long distance is plainly a priority. 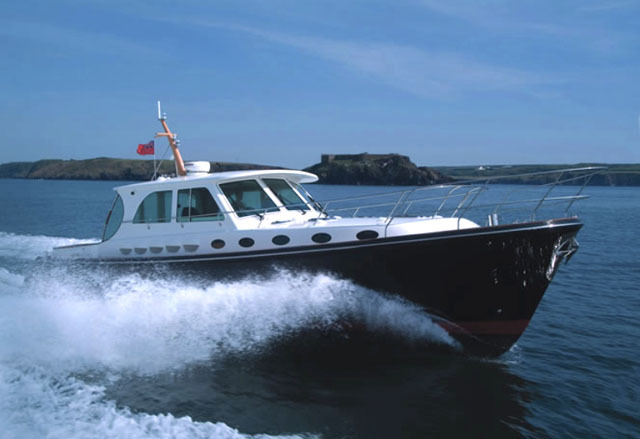 With the addition of a walk-in engine room, plus a utility space and crew quarters, the Hardy’s combination of practical cruising features and gentlemanly comforts makes it the ideal boat for the horizon-hungry ex-Admiral. 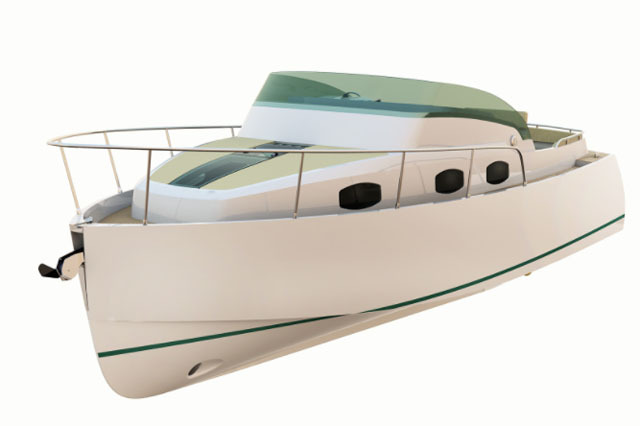 When Espen Aalrud designed the 370 Aft Cabin Cruiser back in 2008, he was absolutely bang on the money. Marex 370 ACC - Balance, beauty, excellent accommodation and a turn of speed – the ingenuity and craftsmanshiop of a modern classic. This elegant and surprisingly agile 30-knot express was named the 2009 European Motorboat of the Year and five intervening seasons have done nothing to dull its loveliness. The deepset, attractively curved aft cabin comes with a wraparound window giving spectacular views on three sides and making it the undisputed throne room for any lucky owner. Up top, an electrically operated concertina roof glides into place at the touch of a button, turning the Marex into a 37-foot cylinder of accommodation – and what splendid accommodation it is. With steamed ash trim and gorgeous custom metal work throughout, this fine looking, beautifully balanced and attractively understated cruiser has all the ingenuity and craftsmanship of a modern classic. 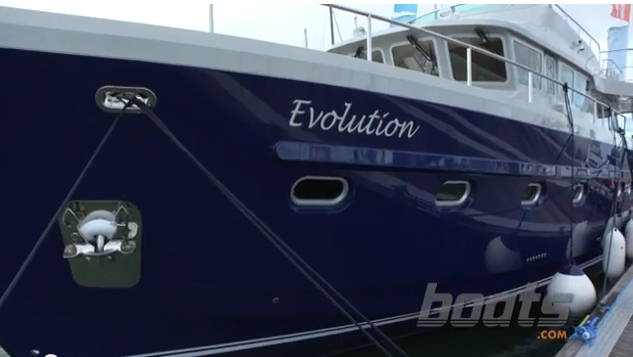 If comfort and style come top of your boat-buying list, you might enjoy these short videos: Hardy 40DS, Princess 43 and Fairline 48.